Rick Distel joins Compass as a Founding Agent in Connecticut after a ten-year affiliation as a top-producing luxury agent with Sotheby’s International Realty. Distel brings an unmatched passion and expertise for marketing homes to his bi-coastal and international clientele. 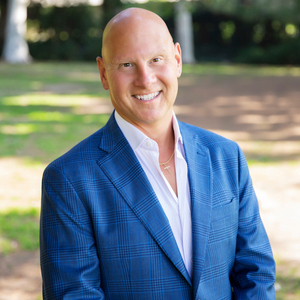 With a background firmly rooted in luxury real estate sales and finance, he is uniquely suited to bring sellers and buyers together by capitalizing on his expertise in marketing and negotiation. Rick’s success in real estate is rooted in his unwavering commitment to client service. His guiding principle is that luxury is not a price point, rather it is a level of service. By treating his clients’ equity as his own in each and every engagement, he provides guidance and service at the highest level. He also acts as a concierge to his clients, providing guidance and assistance throughout and after the transaction. Rick is also known for his passion for architecture. While he represents and sells across the architectural disciplines, he is a mid-century modern expert, a style he reveres personally and can represent with proficiency. In recent years alone, his notable sales include Marcel Breuer’s “Stillman II”, John Johansen’s “Huvelle House” and Edward Larrabee Barnes’ “Marsters House”. In California he is intimately knowledgeable about the abundant mid-century product, especially the Krisel and DuBois designs for The Alexander Company. After moving to New York and receiving his MBA in Real Estate and Finance from NYU's Leonard N. Stern School of Business, he worked as a real estate consultant at Ernst & Young. In 2000, he co-founded a private real estate equity firm that focused on New York City’s downtown neighborhoods. In this role, Rick gained invaluable perspective from a sponsor’s eye of the demands of a discerning Manhattan clientele. He was involved not only in the design and renovation of iconic buildings, but he also directed the city’s top real estate development teams in marketing campaigns and sales efforts of the fund’s numerous condominium conversions. In Connecticut, Rick and his husband live at Hedgelawn Farm, a certified organic farm in Washington, Connecticut which provides fruits and vegetables to local eateries and to the community. In California, they live in a renovated Alexander home in Vista Las Palmas. They have two incredible rescue pups: Cooper and Dodger. When not with clients or family, Rick will most likely be found at his local CrossFit gym, training for his next Spartan obstacle course race. Over the last two years I have been on an incredible journey. I have lost over 60 pounds, completely changed my diet, become a CrossFit athlete after a 20-year break from exercise, and found a community that has become a cornerstone of my life: the Spartan Race. My first race was so physically demanding that it was only my will and commitment that got me through. Being a Spartan is more than completing a race to earn a medal. Spartans push their bodies and their minds to the limit, learn continuously, give generously, master their emotions, and prove themselves through actions, not words. I am proud to carry these principles with me through every facet of my personal and professional life.